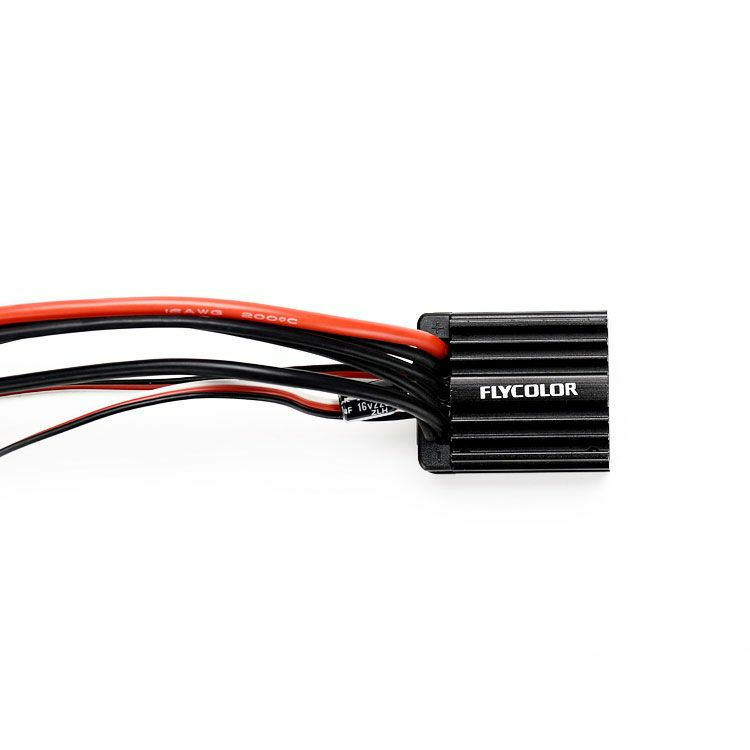 Flycolor 25A brushless esc is suitable for 1:18/1:16 rc cars.The main feature for it is smooth start, sensitive control, low resistance circuit design, less heat generation and multiple protection functions. 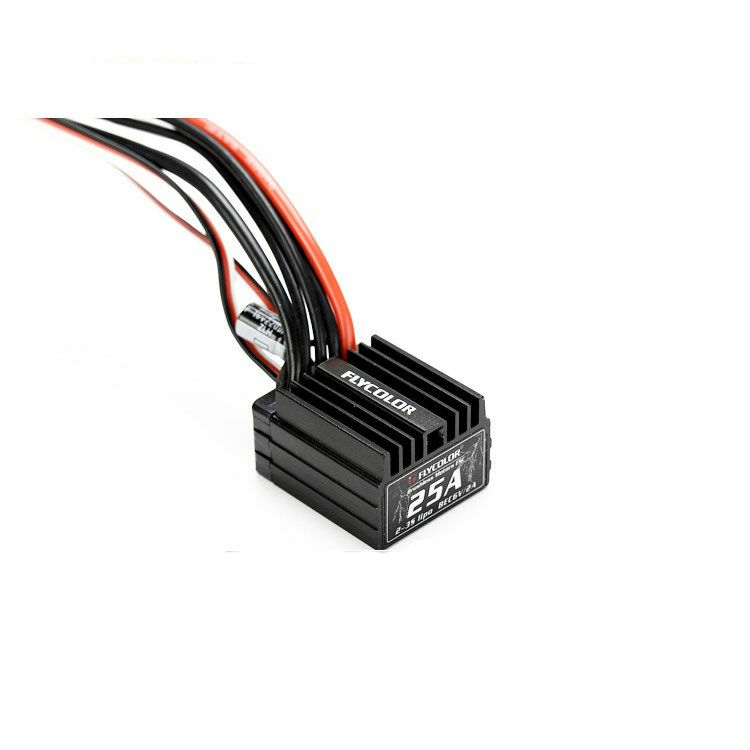 ● Well-designed driver firmware for RC vehicles, smooth throttle response. ● 9 levels of start acceleration for different vehicles, tires and tracks. 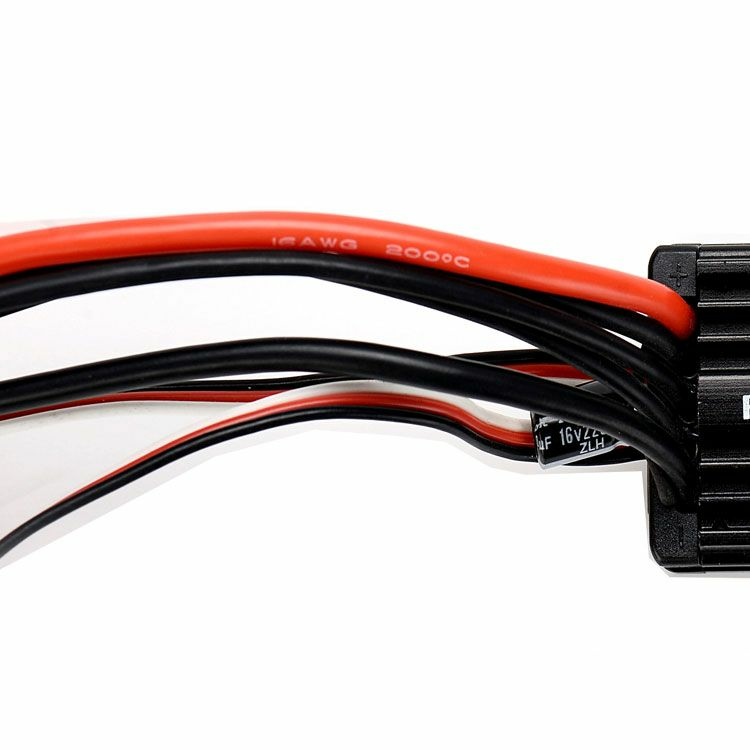 ● 8 timings can be selected , it can motors can work at the best efficiency point. ● Proportional brake with 6 levels of maximum brake force and 8 levels of drag brake force. ● Perfect protections: low voltage protection, thermal protection, throttle signal loss protection and motor stall protection. ● Highly reliable electronic switch avoids troubles which may happen to traditional mechanical switch due to dirt,dash,water and etc. ● ESC programming or restore the default values via the Power/PRG button on the ESC. 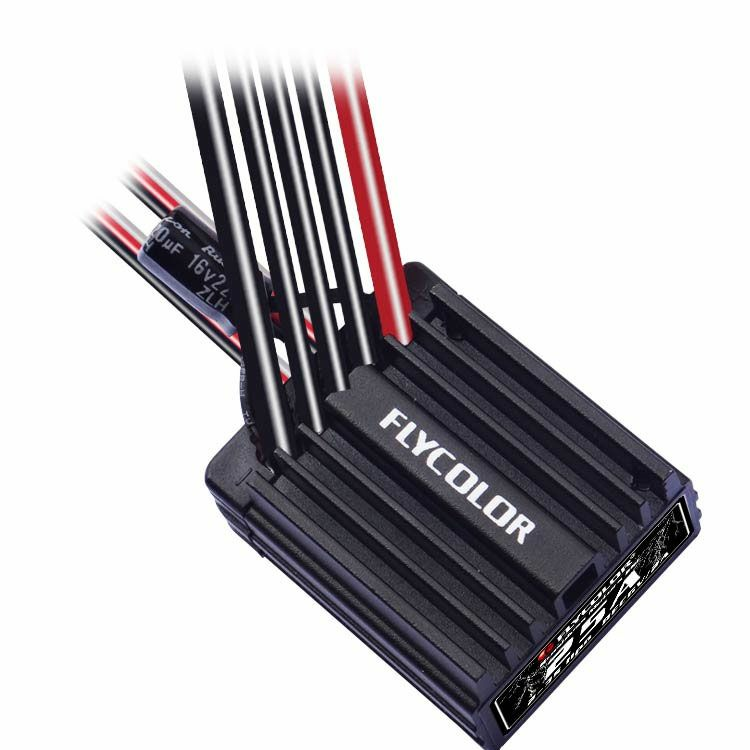 ● ESC programming also can use the program box(item sold separately).